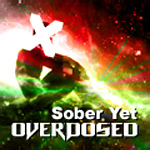 B-Complex presents his second release on FORCE Recordings in the form of Sober Yet Overdosed”. SYO strikes many a chord similar to the earlier “Disturbed” releases by the likes of the Future Prophecies “Illusion of Time and many Black Sun Empire styles. Featuring a tearing midrange / lowend bassline that rips across the majority of the song accented by angelic bells and choir vocals - and SLAMMING drums that don’t sound like every other Me Too DnB track, SYO really does pull you in two directions at once. It’s hard yet calming, Up-tempo but groovy and ultimately it’s a class act. B-Complex will undoubtedly become one of DnB’s next shining lights and we are proud to have been here in the beginning to bring that light to the west!